By Road: National Highway No 8 (Western Express Highway) just passes by the region. The state capital Silvassa is well connected with the important cities of western India. The union territory of Dadra and Nagar Haveli in western foothills was ruled by the Marathas till 1779. In the same year, Portuguese acquired control over the sylvan villages of the region. This Portuguese rule on Dadra and Nagar Haveli remained till August 2, 1954, when the region subtracted itself from Portuguese control. Thereon, the territory enjoyed de facto independence till 1961 when a formal agreement declaring the merging of Dadra and Nagar Haveli with the Republic of India was signed. Since then, the region is a part of India and administered as a Union Territory, with Silvassa as its capital. Geographically, this union territory is located on the foothills of Western Ghats and comprises 72 small villages located between Gujarat and Maharashtra. 53% of the territory is covered by forests and provides a thriving backdrop for a variety of birds and animals. Here, tourists come for eco tourism initiatives wherein bird watching and wildlife excursions can be taken easily. River Daman Ganga and its tributaries interweave the region and drain into the Arabian Sea at Daman. 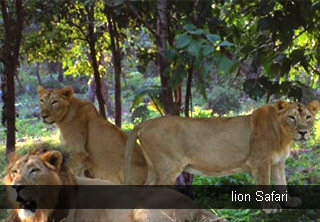 Silvassa, the pristine capital of Dadra and Nagar Haveli is known for its spectacular beauty. The city is also known for a 100 year old church of Our Lady of Piety and the ruins of the Tadkeshwar Mahadev Temple at Bindrabin. 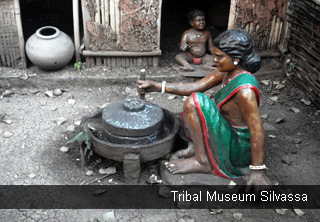 The city is also known for a tribal museum showcasing the heritage of local culture. Like the land, the people of Dadra & Nagar Haveli are simple and unspoiled. Hospitable and kind, they follow age-old traditions and are happy for visitors to explore their rich and varied art, music, folklore and dances. Culture of Dadra and Nagar Haveli is largely hospitable where adherence to age old customs is the way of life here. Tribal population here is concentrated in north of the territory. Most prominent tribal natives belong to Dhodia, Kokna and Varli tribes. Agriculture and fishing are main sources of livelihood here. Hotels – The simple people of Dadra & Nagar Haveli make the destination hospitable and kind and allow people to follow the rich and varied art, music, folklore and dances here. 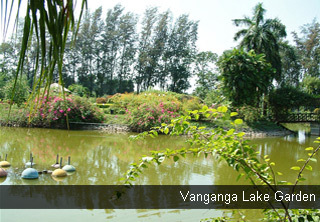 Numerous options of resort stays can be availed in this enchanting union territory.